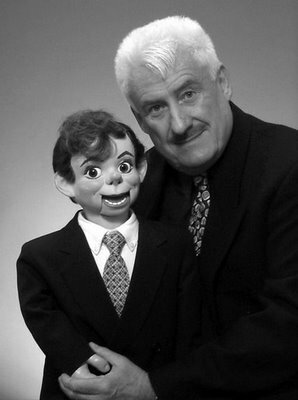 Believe it or not, ventriloquists used to be a popular fixture on the radio airwaves. Chloe Veltman welcomes playwright and theatrical impresario Sean Owens, ventriloquist Ron Coulter and Ron’s puppet partner of 60 years, Sid Star, for a discussion about the art, technique and culture of throwing your voice. The program airs this Friday, August 12, from 10-11pm at 91.7 fm or www.kalw.org. Which came first -- the ventriloquist or the dummy?